This dressing is so simple, so delicious and can be used as a drizzle over anything from roasted veggie sides – it would be fantastic over roasted asparagus – to a salad or a hearty dish over grains. It keeps for about a week but honestly, you’ll be lucky if it lasts for more than a day. Enjoy. Combine all ingredients, then stir really really well until it reaches a “drizzle” consistency – you want it to slightly coat a spoon, but also pour off pretty easily. Make sure you eliminate all the lumps of tahini – you want this to be smooth. Season to taste with more lemon juice, salt and olive oil as needed. Serve and enjoy, or keep in the fridge up to a week. This entry was posted in dressing and tagged dressing, simple on May 17, 2018 by westyn. The Best Dressing Ever? Ever. I tend to get a little obsessed with certain things. I can remember being younger and taping a song I loved off the radio (most likely, something by En Vogue, Richard Marx, or PM Dawn…yeah, yeah. It was the ’90s.) and playing it over and over until I’d start to get sick of it, then not be able to listen to it at all, then putting it away for a couple months, and then digging it out, listening to it and thinking “Why in the world did I ever stop listening to this? ?”, and repeating the cycle. Also – for those of you who remember trying to perfectly tape a song off the radio, props to you as it took serious skillz to capture the beginning and end of the song at just the right times before the DJ came back on and ruined it. This mp3 generation has no idea how much fun they’re missing out on. Anyway, I did the same thing with books (David Sedaris and Chuck Klosterman? Check.). Same thing with Netflix – I realize that I should probably have more shame in admitting I binge-watched all 4 seasons of Breaking Bad in a week and a half just to catch up to the second half of season 5 and be able to watch the final episode in real time. But…I don’t. That show was awesome. And, of course, food. I went through a meatball phase, a black olive phase, an artichoke phase, and I’m pretty sure I’ll always be in an avocado and feta phase. But this dressing. This. Dressing. It’s incredible. I want to put it on everything. I want to eat it with a spoon straight out of the jar. It’s creamy without being fattening, unbelievably flavorful, actually healthy, has the perfect texture, is a little tangy and packs a bit of heat, too. It’s fantastic. It’s a game-changer. If this is a phase, it’s one I never want to end. 1. Prep everything. Don’t skip the jalapeno – I hate spicy things but this amount of heat is perfect, perfect, perfect. Just make sure you wash your hands really well after cutting it! 2. Combine everything in a food processor (in order of ingredients listed) or a blender until well combined. This entry was posted in Breaking Bad, Chuck Klosterman, David Sedaris, dressing, En Vogue, favorites, healthier, love, PM Dawn, richard marx on July 15, 2014 by westyn. Seriously, if you’re still buying salad dressing, why not give making your own a shot? I think DIY salad dressing recipes are so much tastier, simpler and versatile than being stuck with 10 bottles of partially-used salad dressing bottles clogging up your refrigerator. This one uses rice vinegar, which I loooove. Add that to a little balsamic, a bit of chopped shallot and a dab of Dijon mustard to bring it all together. I’d eat this on just about anything. 1. In a mason jar, add the vinegars, then add the shallot. Let it sit for a little bit to kind of mellow out & absorb the flavors. Add the Kosher Salt & pepper, shake it up a bit to react with the vinegars. 2. Add the mustard and the EVOO. Shake it up. 3. Top a fresh salad with the dressing and enjoy. We had this with ham & my dad’s famous mashed potatoes. My fav. 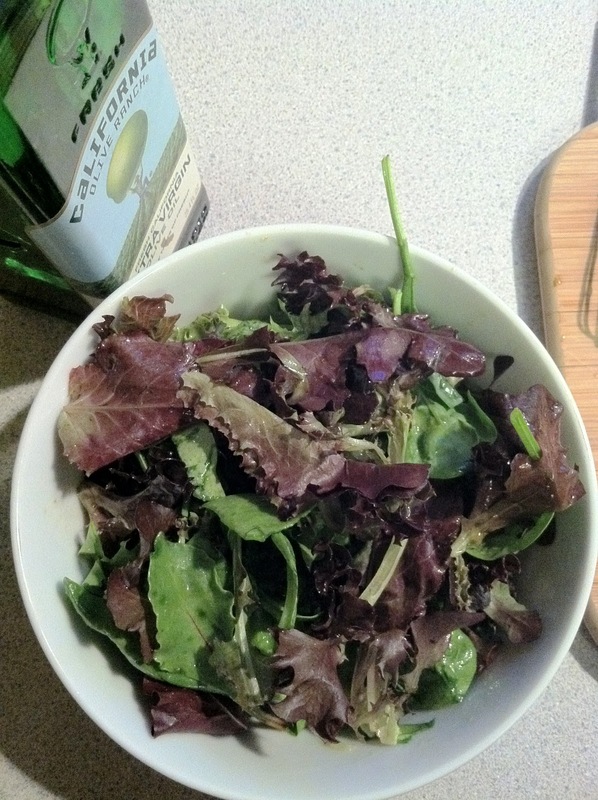 This entry was posted in dressing, healthy, salad, simple on April 5, 2014 by westyn. Sometimes in life, when things seem too complicated, the best things to do or consume are the simplest ones. 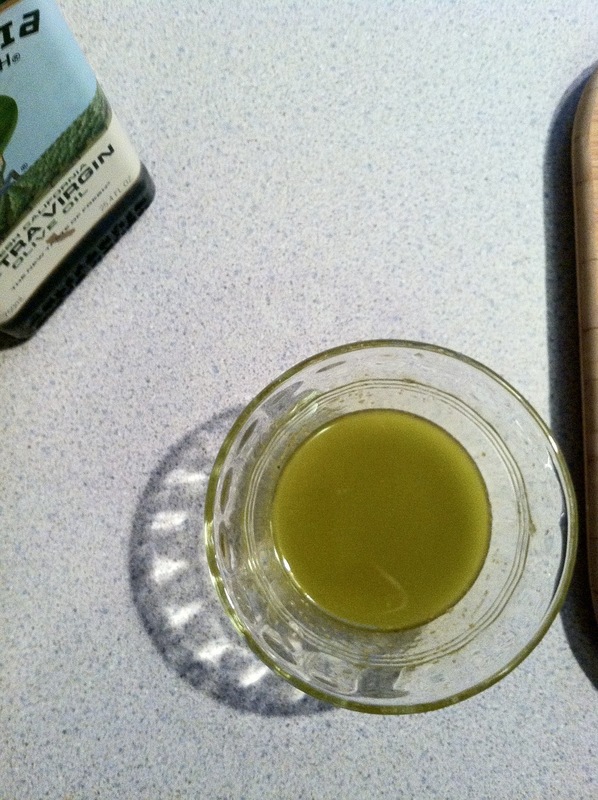 I haven’t bought salad dressing in maybe 2 years – it’s so much simpler to make it yourself, and so much healthier too. Lemons are one of my favorite ingredients, and I love how they make everything seem brighter. When life gives you lemons, make this dressing. Simplify. Simplify. Simplify. 1. Combine everything in a mason jar. Shake it up and adjust seasonings to taste. 2. Lightly salt your greens (I love Organic Seasoning Salt Herbamare, which combines healthy minerals and sea salt). Add dressing. 3. Top with a little sprinkling of parmesan cheese, if you want (who doesn’t). — On a side note, I just want to put out there how incredibly thankful and lucky I am to have my family and my friends in my life. In times of transition, they’re the people who stand behind me and my choices with overwhelming encouragement, support, advice, perspective, and love. I have so many things in my life that I’m appreciative of, but these relationships are at the very top of my list. So grateful. 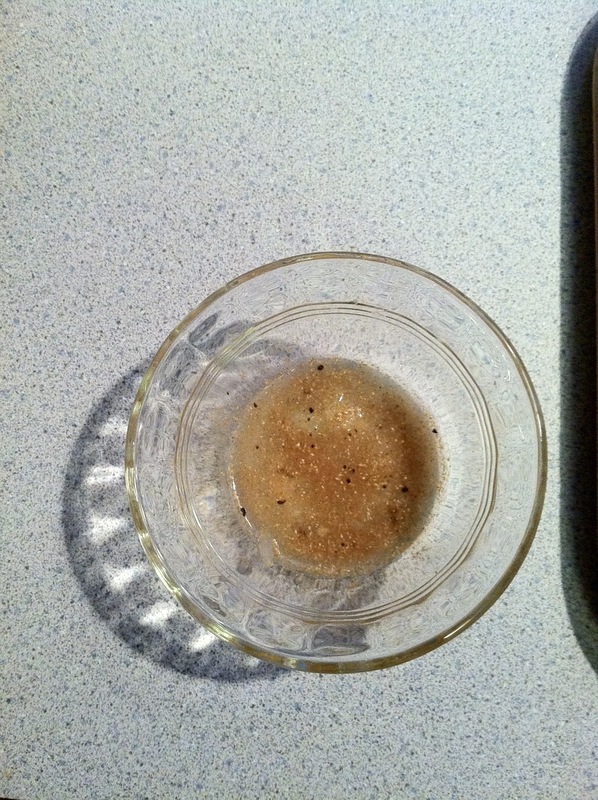 This entry was posted in dressing, lemon, love, salad on April 13, 2013 by westyn. 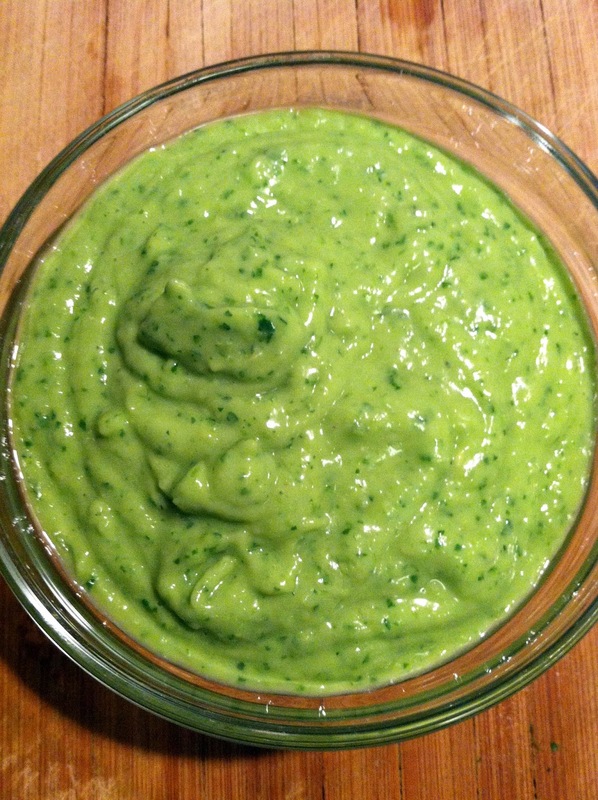 Creamy Avocado Dressing – No Olive Oil or Dairy! This dressing was a happy accident. Dinner was almost ready one night, and I realized we didn’t have any olive oil left to make a salad dressing. So I searched the internet and found a couple basic recipes, combined a few of them, and came up with this. It’s fantastic. It’s like a salad on top of a salad, is one of the healthiest, most refreshing dressings I’ve ever put together, and will keep a couple of days, too. We ended up using it for a dipping sauce for mexican summer rolls for dinner the next day. 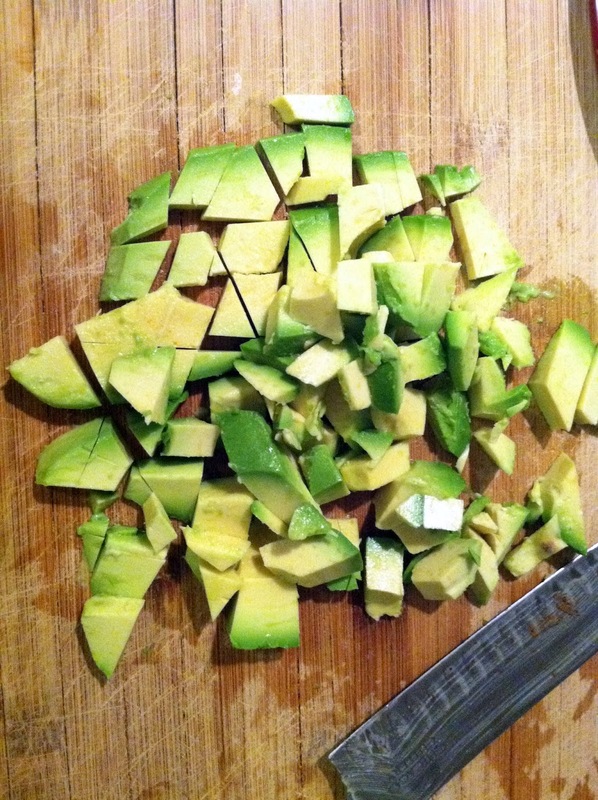 I really can’t express just how much I love avocados and how they seem to make just about every recipe better. 1. 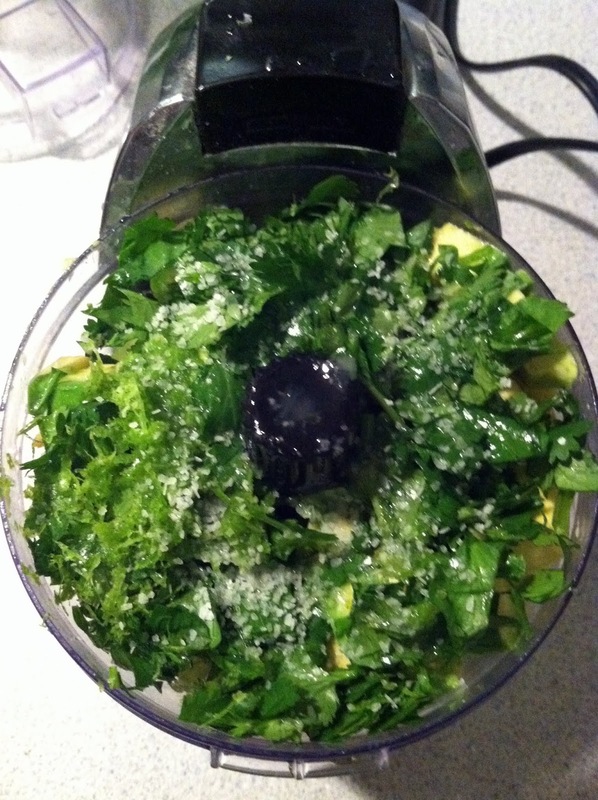 Cut up the avocado, english cucumber, cilantro, and put into a Food Processor. Add the lemon & lime juice, lime zest, water, & 1/2 tsp. kosher salt to start. 2. Blend everything really, really well. Taste, then add more juice, water, salt, etc. to taste. 3. 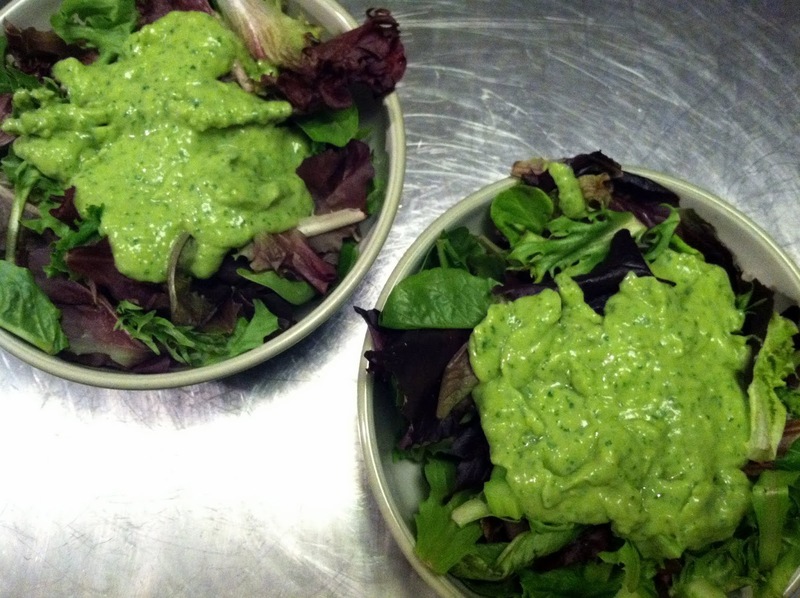 Serve on top of a nice green salad, use as a dipping sauce, etc. This is a great way to sneak in an extra serving of veggies, too. 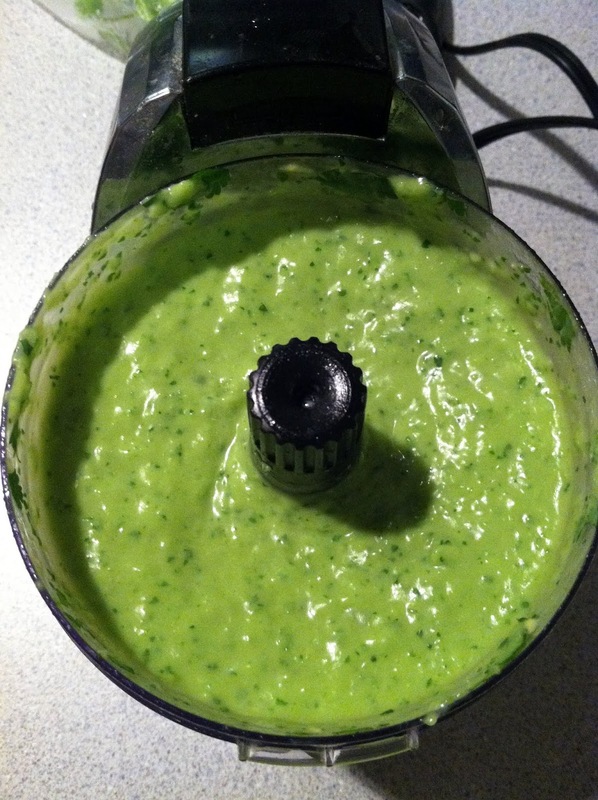 This entry was posted in avocado, dressing, gluten-free, healthy, one-pot, paleo, salad, simple, vegetarian on March 18, 2013 by westyn. One of Brad’s and my favorite restaurants in NEPA is the Summerhouse Grill, an amazing, farm-to-table restaurant in Montrose. The food is clean and fresh, it’s BYO, the space is cozy and adorable, and the 45 minute drive from Scranton is time well spent, especially for a date night. Last year, we went to a cooking class they hosted, and learned to make a salad that has been my go-to ever since. The brightness of the lemon-coriander vinaigrette is balanced by the creaminess of the super-thinly sliced avocado and the peppery crunch of the paper-thin radishes. This was served as an accompaniment to Mexican food, but it really goes with anything. Have I mentioned how much I love avocados? Because I really, really do. 1. Wash the greens, and then (surprisingly), add a teeny pinch of kosher salt to them. Lettuce is technically a vegetable, and should be dressed like one. 2. In a small bowl, squeeze 1 tablespoon lemon juice (I usually find that this is half of a lemon. Roll it out on a hard surface before cutting it, to loosen the lemon juice) and add to that the coriander, kosher salt, and pepper. 3. Once you’ve added the spices to the lemon juice (since the ingredients will absorb into the acid better than the oil), whisk in 3 tablespoons olive oil. 4. 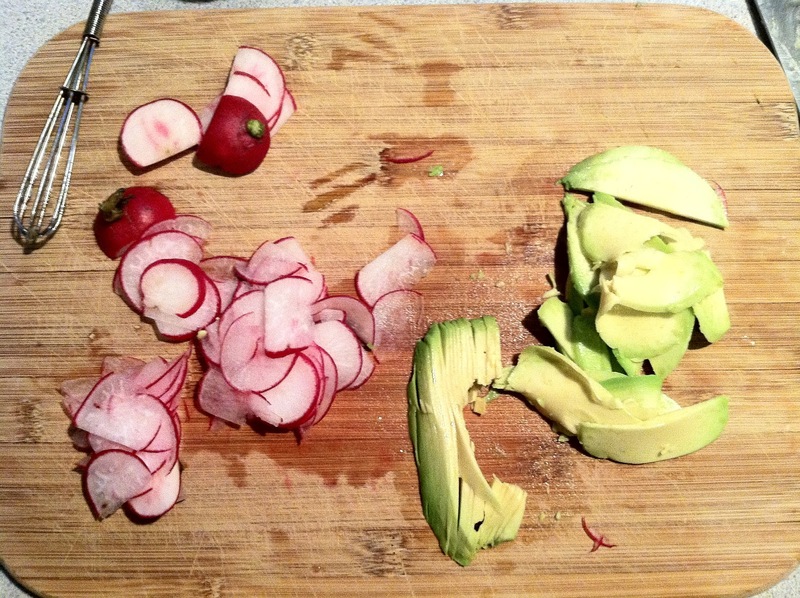 Verrrrrry thinly slice the radishes and the avocado. They should be paper thin – a microplaner will be able to accomplish this, but it usually just takes a couple practice runs and tossing out the thicker slices before you get it right. 5. 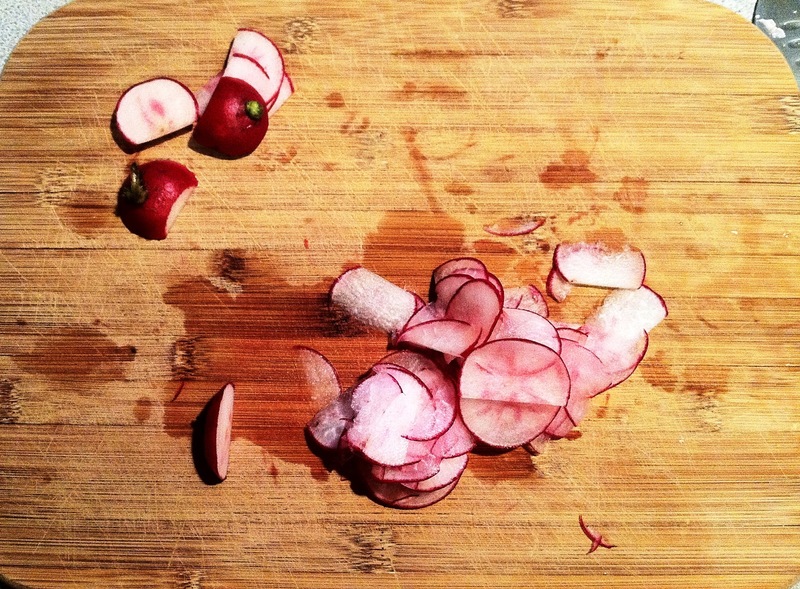 Toss the greens with the salad, top with the radishes and the avocado. At the cooking class we went to, the folks at Summerhouse noted that the paper-thin slices “take this recipe from a salad to an event”, and I totally agree. 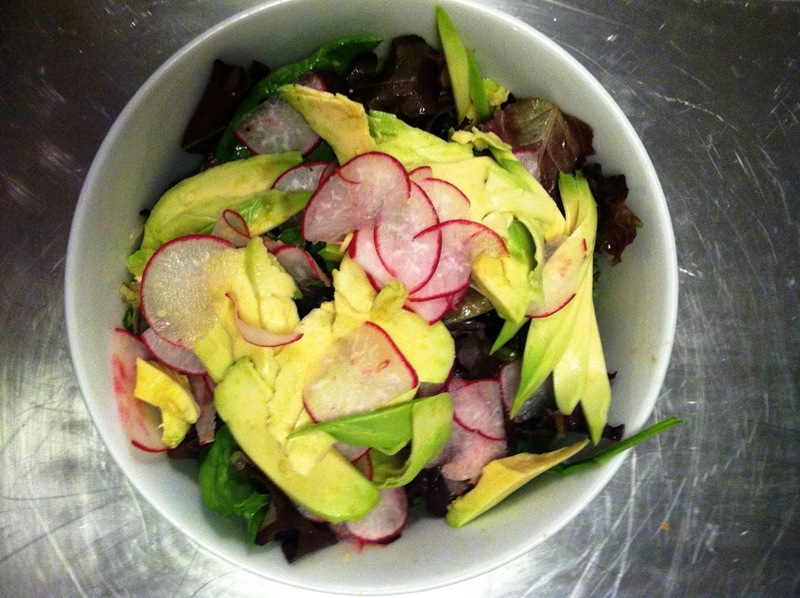 This entry was posted in avocado, dressing, radishes, salad, sides, Summerhouse Grill on September 8, 2012 by westyn.